Attention all senior Striv students who are interested in a media-related college degree after high school! 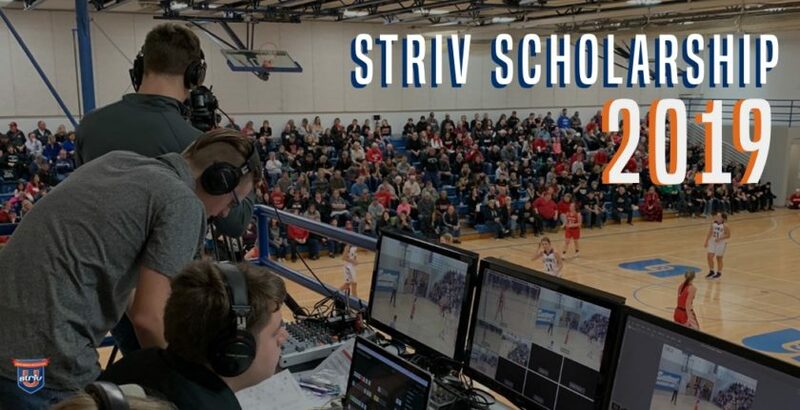 We are excited to offer our 3rd annual Striv Scholarship to Striv seniors who have worked hard to share their high school’s story and continue to further their media/journalism skillset next fall in college. Our scholarship will award one recipient of $500 or two recipients at $250 each. To be considered, please submit your application by April 17th. *These are just examples. Any degree with design, writing, photography, videography, or broadcasting is considered media-related. Alec Rome of Omaha Central and Emily Oestmann of Johnson-Brock were Striv’s 2018 scholarship recipients. They are both in their second semester at the School of Journalism at UNL and Peru State College pursuing degrees in the field of broadcasting, sports communication, videography, and marketing. We are looking forward to awarding one or two very deserving students again this year.